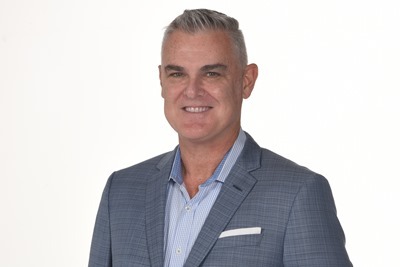 FORT LAUDERDALE, FL (February 21, 2019) – MHG Insurance Brokers, the cruise industry’s benefit specialist, announced today that Lyall Duncan has been appointed as Director, Cruise Division. In this role, Duncan will oversee MHG’s Cruise Division, one of several business units within the MHG Group, and work to further strengthen and build new client relationships within the industry. He will be based in the company’s Fort Lauderdale office. Duncan holds a law degree from the City University of New York at Queens College and received a Bachelor of Arts in Sociology and Criminal Law from St. Louis University in Missouri. A veteran of the cruise industry, Duncan joins MHG with more than 20 years’ experience in maritime, corporate, commercial, and travel law in the global market. Duncan has an extensive legal background and belongs to both the Florida and New York Bar Associations. Prior to joining MHG, Duncan served as General Counsel for a luxury cruise line. Duncan will be supported by Sheree Lynch, Special Projects Director, Sherry Wertz, Cruise Division Administration Manager, and Kelly Morris, Claims Specialist. “We have known Lyall for many years. As the cruise industry continues to grow and evolve, Lyall’s strong risk management background coupled with his experience working within the unique culture of the cruise industry makes him an ideal person to lead MHG’s Cruise Division” said Andrew Dudzinski, MHG CEO and Chairman. MHG introduced crew benefits to the marine industry in 1991 and has since grown into a multi-discipline marine insurance brokerage and adviser. MHG released a ground-breaking report on the cruise industry’s shipboard benefits provision. 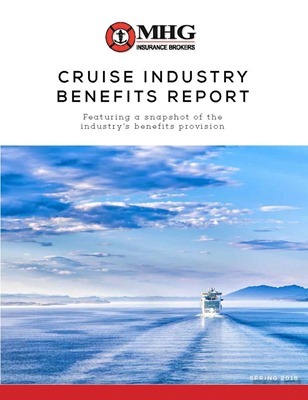 To receive a copy of the Cruise Industry Benefits Report or to schedule an appointment to review the report and discuss your benefit strategy, please contact the Cruise Division at pr@mhginsurance.com or visit us at Seatrade Cruise Global, booth 2349. MHG Insurance Brokers announced today that Lyall Duncan has been appointed as Director, Cruise Division. Read more! The results of new research into the welfare needs of superyacht crew were announced on Monday at a seminar held at Inmarsat’s headquarters in London. · 57% of women and 39% of men suffered from social isolation or loneliness ‘sometimes’, ‘often’ or ‘always’ while working on board. The research was described by seminar delegates as ‘long overdue’ (Dùghall macLachlainn, a superyacht captain), at the ‘forefront of development of crew welfare’ (yacht recruitment agency wilsonhalligan), and ‘a step in the right direction for the future of superyachting in a modern world’ (Sara Ballinger, Crew-Glue). The report can be downloaded here: www.seafarerswelfare.org/resources/publications/the-welfare-of-superyacht-crew. A recent survey commissioned by Yachting Pages Media Group found that 75% of crew surveyed said that the industry is not doing enough to tackle mental health problems and look after the overall wellbeing of crew. The results of Yachting Pages Media Group’s survey can be found here: www.yachting-pages.com/superyacht_news/mental-health-falling-under-radar-superyacht-crew.html. ‘Maritime welfare organisations are used to dealing with seafarers on cargo and cruise ships. The number of seafarers in the yacht sector has grown to around 35,000, and we need to know more about the challenges which are specific to the superyacht sector. As seafarers on superyachts are covered by the provisions of the ILO Maritime Labour Convention their welfare needs – at sea and ashore – should be better known and provided for,’ said Roger Harris, Executive Director of ISWAN. Members of superyacht crew can answer the survey here: www.surveymonkey.co.uk/r/yachtcrew. The results will be published in a report on the ISWAN website (www.seafarerswelfare.org) in December 2018. The International Seafarers’ Welfare and Assistance Network (ISWAN) is partnering with MHG Insurance Brokers to launch a survey of seafarers who work on superyachts to investigate welfare issues specific to the sector. FORT LAUDERDALE, FL (July 3, 2018) – MHG Insurance Brokers announced today that Odin Bujeiro has joined the company’s IT Department as a Programmer. In this role, Bujeiro will develop, test, troubleshoot, and deploy solutions for MHG’s CRM System and web portal. Bujeiro joins MHG with more than 20 years of experience as a programmer. Bujeiro previously worked as a Software Developer for a company specializing in vacation awards and incentives for the hospitality industry and more recently, as a Senior Software Engineer for a GPS tracking solutions company. MHG Insurance Brokers announced today that Odin Bujeiro has joined the company’s IT Department as a Programmer. DOUGLAS, ISLE OF MAN (January 11, 2018) – MHG Insurance Brokers announced today that Jack Okell has been promoted to Analyst. In this newly created position, Jack will reconcile the premium and claims experience for any given account, in addition to providing reports to underwriters in the London market. 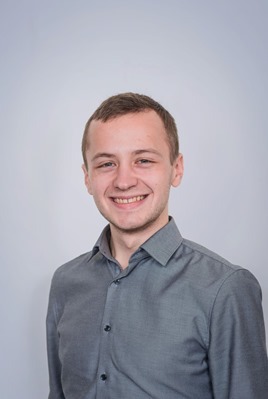 Jack was studying Mathematics, Statistics and Physics at Lancaster University in England when he joined MHG as part of the Isle of Man Governments STEP scheme, a program which places Manx undergraduates with local businesses for the summer. Previously, he served as a member of the Army Cadet Force, where he learned self-discipline and the importance of working within a team setting. MHG Insurance Brokers announced today that Jack Okell has been promoted to Analyst. 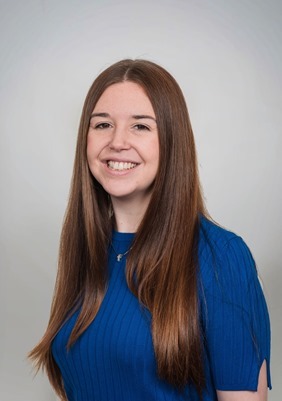 DOUGLAS, ISLE OF MAN (January 26, 2018) – MHG Insurance Brokers announced today that Jessica Kramer has joined the company as Underwriting and Claims Assistant to provide benefit and claims support to European-based yacht clients. Prior to joining MHG, Kramer worked in the shipping industry for 12 years, specializing in crew management, payroll, and insurance. Most recently, she worked as a Marine Personnel Officer for a leading global maritime service provider, managing crew on offshore vessels in the North Sea. 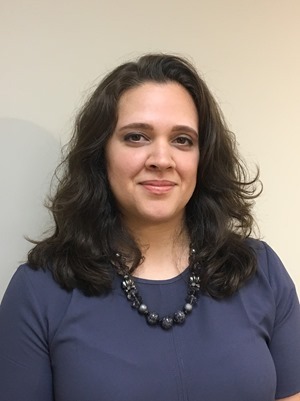 MHG Insurance Brokers announced today that Jessica Kramer has joined the company as Underwriting and Claims Assistant to provide benefit and claims support to European-based yacht clients. Fort Lauderdale, Florida (December 14, 2017) – MHG Insurance Brokers announced today that Tiffany Rose Tamsberg has joined the company’s Commercial Insurance Division as the Placing Broker. In this newly created position, Tamsberg will be responsible for the coordination of accounts, customer service and claims administration. 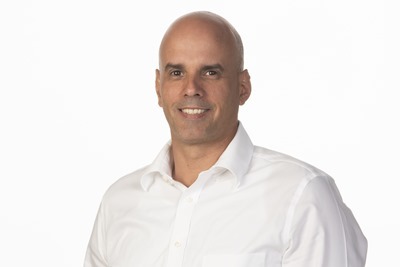 Tamsberg joins MHG with 10 years of Commercial Lines experience in South Florida working in various positions within Wholesale, Account & Marketing Management and Construction Risk Management. Tamsberg holds a Bachelor of Business Administration in Marketing and Business Management with a minor in Psychology. Specializing within the Insurance field, Tamsberg also holds a 220 General Lines license, Accredited Adviser in Insurance (AAI) designation and recently received the Construction Risk and Insurance Specialist (CRIS) certification. MHG Insurance Brokers has been providing insurance guidance and solutions since 1991. The company has established an unrivalled reputation for providing quality insurance products that meet clients’ coverage requirements and budget. Most recently, the Commercial Division began offering Tour and Excursion Operators Legal Liability Insurance, a package contingent liability program designed specifically for tour operators seeking to work with the cruise line industry. The Isle of Man Maritime Group is delighted to announce that Döhle Yachts, Appleby and the Department of Economic Development (DED) are the latest group participants in the prestigious networking reception at Tower Bridge during London International Shipping Week 2017. The Isle of Man Maritime Group is an entrepreneurial group of Isle of Man based organisations in the maritime sector who work closely together to help champion the Isle of Man as a leading international maritime services centre of excellence. London International Shipping Week (LISW - www.londoninternationalshippingweek.com) is a must attend bi-annual event in the maritime calendar. It attracts business leaders from around the globe and from all sectors of international shipping industry. The Group’s reception will showcase the strength of the Manx maritime cluster and the range of services which their IOM members provide. Always 'daring to be different', this time the reception will take place at the iconic Tower Bridge. This is one of London’s most internationally recognisable landmarks with stunning views over the River Thames. It will be an immense attraction to business leaders who come far and wide to attend the week-long festival. There are now ten Isle of Man based maritime organisations participating in the Group’s event. In addition to Appleby, Döhle Yachts and the DED, the Isle of Man Ship Registry, KPMG, InterManager, MHG Insurance, Bernhard Schulte Ship Management and PDMS Registry & Regulatory Solutions are all taking part. Commenting on the development, Isle of Man Maritime Group Chairman and PDMS Director, Bruce McGregor stated: “The maritime sector is a significant and important part of the Island’s economy, making our high profile events, which champion the sector beyond our shores, exceptionally beneficial, not just for the Island as a whole but for the individual organisations who are involved. With the maritime sector renowned for being a dynamic and close knit community, the intangible value and impact of building close relationships with senior international contacts through this kind of event simply cannot be underestimated. At a time when people are coming to London, from all around the globe, for this conference to understand key international pressures, including the impact of Brexit on shipping, this has never been more important. Expected to attract between 150-180 luminaries from the international maritime community, as well as from London itself, the event takes place from 19:00-22:00, Wednesday 13th September 2017. If you would like to find out more or express an interest in participating as a hosting organisation, you can do so by calling Bruce or Cameron on 01624 664000. Alternatively, please email enquiries@iom-maritime.com or visit www.iom-maritime.com/contact-us.